Steven Cole (Economics, MBA - University of West Florida , Graduate Certificate - Stanford University) 22 years in the safety industry. These little sealcoaters are very popular machines and are used all over the country to sealcoat driveways and parking lots. They do the job and are very inexpensive which allows almost anyone to get into the lucrative business of sealcoating. The Asphalt Kingdom AK2200-B 55 gallon drum system is a simple machine that utilizes a 55 gallon drum for material storage and a basic gasoline engine powered pump for pressure and agitation. The only difference between the model B and the AK2200 Model T is the capacity of the tank and the material the tank is made from. 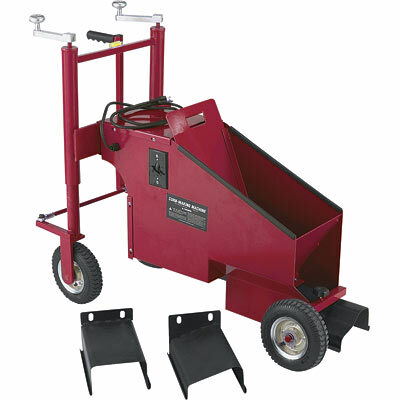 This compact 55 gallon drum unit is sufficient to sealcoat about 5500 square feet of parking lot or driveway whereas the larger model T will sealcoat about 27,500 square feet. The main advantage of the smaller machine is portability and a slightly lower purchase price. Also, some people prefer the toughness of a 55 gallon drum. In any event, due to the flexibility of these systems you would always have the option of upgrading to either a larger tank multiple 55 gallon drums. The AK2200-B machine comes with the 55 gallon drum, the gasoline engine driven pump and spray wand. One question people ask is whether the machine will pump sand. The AK2200 machines will pump and spray sand. Keep in mind that with this and all machines, pumping sand will shorten the impeller life. However, parts can be easily replaced and having sand mixed in with the sealcoat is an important way to increase safety and reduce your liability since sand keeps people from slipping in wet parking lots. If you have a small pickup the smaller 55 gallon unit may be all you need. If you need more sealcoat here is what you can do. Lets say you go to a job and you have two 55 gallon drums full of sealcoat. You finish that job and get another down the street and are getting low on sealcoat. Since you have two drums your helper could take the spare and get it filled while you continue sealcoating with the last drum. As you can see from the picture changing drums is just a matter of changing the lid. If you have a larger truck and trailer and portability is not an issue and you expect to sealcoat larger parking lots then I would recommend the AK2200-T model. The 55 gallon AK2200-B runs about $1,550 and is often advertised at Asphalt Kingdom with free shipping. If you cannot find material locally, Asphalt Kingdom also sells the sealcoat. Asphalt Kingdom has a good reputation and prompt service. They have a broad variety of very reasonably priced equipment and can help you get into the business on a budget. The equipment is simple and rugged. This is key when it comes to keeping your equipment up because downtime means no sales. A CNC router is basically a router mounted on a mechanism that allows it to travel on an X and Y axis as well as up and down. This movement is controlled by a computer or laptop. CNC stands for computer numerical control. This basically means that the machine uses mathematical formulas to move and cut. You don’t need to know math but the software does. A CNC router uses scalable vector graphics to cut from. Sign cutters (vinyl plotter) also use vector files but a CNC router file also contains data that controls the depth of the blade. In other words, the router will cut in 3D. CNC routers can create a huge variety of products. They create foam letters, aluminum parts, cabinet doors, integrated furniture, wooden signs, stencils, 3D art, guitars, plastic parts, toys, engraved products, picture frames, switch plates, stamps and dies, plaques, and much more. If you can imagine it, a CNC router can cut it. If you create the right products and keep your router productive you can easily make $50 – $200 per hour. It really depends on the products you are making. Sometimes the more boring products like name plates will make you the most money. The key is customization. Duplicating easy to find products like toys or furniture will make you a little bit but creating hard to find custom products for industrial or commercial applications can make you a lot of money. When I first saw one of these machines being used I was blown away by how simple and cool they were. Creating concrete curbing by hand is not just time consuming but also difficult. The main problem is making the job look professional. These little machines make it look easy because if you own one making curbs is easy. Plus I do not know anyone who would not want what this machine can produce. I spent days in my yard putting down blocks for a garden border and this machine could have done the job in an hour. Word of mouth advertising will keep you busy year round. These amazing little machines utilize a plunger or auger to press or extrude concrete that you shovel into the top of the machine out of a form that creates the curb. The action is similar to a meat grinder or a play dough toy. The concrete holds together because it is mixed to be very dry much like mortar mix. If it was wet and loose it would not hold its form. Since the freshly extruded border takes a while to dry you have some time to smooth out the cement, cut in expansion joints, press or roll in a pattern, etc… You can either use colored cement or standard cement. You also have the option of staining the cement later with acid or standard concrete stain. The steps for making a curb are as follows. Remove the grass with a turf cutter, mix the concrete, position the machine and start extruding the curb. Then just cut expansion joints and hammer in your pattern if necessary. The machines movement is propelled by the extrusion process so all you do is guide it. The video below shows the entire process and goes into detail about pricing and the time it takes to complete a typical job. If you are efficient, a crew of two guys should be able to earn around $100 per hour. This is after material costs. Before laser engravers, all engraving was done with a mechanical engraver that was basically a miniature router on an x y axis. After the 80’s these machines were almost always powered by some type of small computer. The operator would type in the words they wanted engraved, load the name plate and the machine would grind through the to layer revealing the normally white layer and creating permanent letters or graphics in the plate. The machine would also engrave metal tags which you have probably seen on trophies. Today, mechanical engravers work basically the same way but with some really cool features. New computers and graphics programs can produce some amazing vector art which can then be engraved into almost anything. Any font, any graphic, etc.. Also, many engravers have a z axis meaning they can engrave at various depths creating artwork with depth to it. It is rare for a shop to only have an engraver. 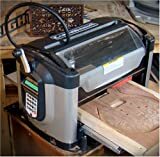 This machine is normally combined with other graphics equipment such as vinyl cutters, printers, mug machines, etc.. Like most sign equipment an engraver can earn its owner upwards of $50 per hour. The articles in this category cover several types of mechanical engravers. I hope you enjoy them. Virtually every parking lot in the world has lines all over it. Lines that direct you where to go, lines that tell you when to stop, lines that tell you where to park, lines that tell you where not to park, lines that tell you to be cautious, and lines that guide you back out of the lot. Have you ever wondered where all those lines come from? Line Stripers have been around for decades and have provided striping companies with a semi automated method of apply lines to the ground. Kelly Creswell created one of the first machines and since then the industry has grown quite a bit. Welcome to our series of articles and reviews on computer controlled vinyl cutters or plotters. Vinyl cutters are essential machines for anyone in the sign business. These machines are controlled by a computer or laptop and utilize a small blade to cut the vinyl part of a vinyl roll and not the paper backing. This allows the sign maker to weed out or remove all the vinyl that will not be on a sign and leave the rest. They then transfer tape the part they want to use, peel it off the wax backing or release liner, and transfer it over to the sign, window, vehicle, etc..
You can easily earn $50 per hour or more operating a vinyl cutter. Here is an example of how you would do that. Lets say someone wants a 3 x 8 basic banner. The banner will cost around $20 and the vinyl will cost around $5. It will take about one hour to make which will include design. Once completed, the banner will sell for about $120. Your profit is going to be about $95. Which is equal to $95 per hour. If you made banners and basic signs all day long and worked 5 days a week you would make around $104,000 per year at $50 per hour or $197,600 at $95 per hour. Out of this would come your shop expenses but no matter how you calculate it, you can make a lot of money with a vinyl cutter. 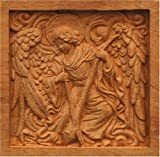 The amazing CarveWright compact and powerful CNC woodcarving machine measures only 15″ x 18″ x 26″ yet can create amazing products! The rising head and feed-through configuration accepts work pieces 14-1/2″ wide, 5″ high, and with proper support, almost any desired length. Using the CarveWright woodworking system is simple. First you design your project on the CarveWright Designer software which is included. Then choose from images in the CarveWright software library or import images from a source of your choosing. Upload the project that you have created to a special memory card and slide that card into the CarveWright machine. There is no need to attach your computer to the CarveWright machine. After inserting the memory card into the CarveWright , the onboard LCD display will guide you, step by step, through your project. The CarveWright woodworking CNC can be used to perform a variety of functions such as routing, cutting, carving and jointing and has a patented “Quick Change System” that allows the bits to be easily removed and replaced. In fact, CarveWright will automatically choose the correct bit for your job and measure your work piece.The intuitive and easy to use PC or Mac compatible software package contains simple toolbars that allow you to manipulate your design on a 3-dimensional representation of your work piece. Images can be “dragged and dropped” onto the work piece display, allowing you to combine images, add text, size and re-shape, or adjust the carving depth. You can even draw your design using 2D drawing capabilities. The CarveWright Woodworking System comes equipped with virtually everything needed to get started. Included are one carving bit, one cutting bit, two 1/4″ bit adapters, a vacuum bag, a bit removal tool, a CarveWright 0-45 degrees with programmer, CarveWright design software, users manual and a one year warranty. Note: The CarveWright CNC machines are available in the continental United States only. In the store below you will find great deals on medium and small CNC routers and engravers. 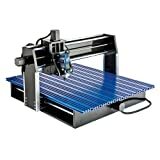 There is also a do it yourself ZEN CNC router kit that is very affordable and quite popular. Small routers are great for engraving and wood working. Medium sized routers can do some heavier cutting and therefore can create more products. Although they are considered hobby type machines they can still produce commercial products. EDCO is a leader in concrete grinding, scarifying and polishing. They have been making quality, rugged machines for over 50 years. The store below has a nice selection of the machines at great prices. Along with cool machines like Vinyl Plotters come lots of cool materials to cut such as multi colored vinyls and of course reflective vinyl. Reflective vinyls come in many types and colors. Some are brighter than others and some are easier to cut than others. Thin, single layer reflective material can be cut fairly easily with a vinyl cutter using a 60 degree blade. The easiest material to cut is a Flexible Engineer Grade Reflective Tape. It is just a little thicker than standard vinyl and very soft and pliable so a plotter has no issues cutting it. A 45 degree blade may work but a 60 degree is more appropriate. Also, a little more pressure than what you would use for standard vinyl is needed. 8 colors are available for this material. Oralite V98 reflective tape is also cuttable but may take multiple passes and more pressure if you are using a standard cutter. A Graphtec commercial cutter will do it in one pass. A 60 degree blade has to be used on this material because of how thick it is. 7 colors are available in the V98 line. Finally, an Oralite V82 or V92 reflective tape will also work in a plotter. 60 degree blade and pressure above what you would use for standard vinyl or engineer grade reflective. One thing is for sure, you can create amazing products using a basic vinyl cutter and some colorful reflective tape. Amaze your customers and keep them safe all at the same time. 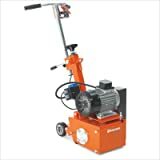 The EDCO 50100 series Dual-Disc Floor Grinder has a 22″ working width and will grind about 400-500 square feet of concrete surface area per hour at a setting of 1/32″ . This model is a single phase electric grinder and comes with two multi-accessory discs, which accept Dyma Serts, Strip-Serts and all other grinding accessories. The EDCO 50100 series grinder features a 1.5 hp, 115/230 volt electric motor. It also comes equiped with a 2″ vacuum port for pulling away ground material and a water port for introducing water onto the grinding surface. Counter rotating discs help to prevent the grinder from wandering side to side. This gives the grinder operator more control and the ability to be more precise with the machine.. This is a large 19/9.5 Amp grinder and is ideally suited for production grinding and floor cleaning both large and small surface areas. Some examples of where you would use this machine would be airports, warehouses, factories, parking decks, manufacturing facilities, malls and sports arenas. The EDCO 50100 dual disc grinder runs about $4,000 – $5,000 retail. You can earn around $50 – $70 per hour using it. You would need to have a trailer to transport it to each job site. 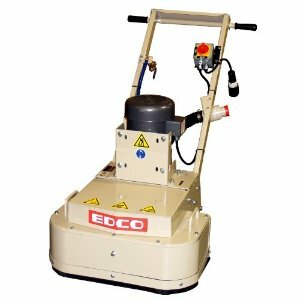 Normally, you would combine this machine and some other machines to create a more diversified business that dealt primarily with concrete such as grinding, polishing, acid staining, thinset applications, etc.. EDCO is a respected name in the concrete finishing business and stands behind its machines. They have been manufacturing grinding machines for over 50 years. Leveling uneven joints like on sidewalks. Removing tile mastic or glues . Removing Thin sets, epoxies and urethanes. The video below shows an overview of the EDCO dual disc concrete grinders. Also, check our online store at the top right for some great deals on these cool machines. The Edgemaster concrete curbing machine is one of the more popular commercial curb machines on the market today. It is available with different dies to create different types of curbing for home landscaping or commercial parking lot curbing. Also available is the Edgeprep ground preparation machines which is a must have machine when doing residential landscaping curbing. The Edgemaster 800 takes mixed cement and extrudes it through a die thus forming a perfect curb. With a little practice you can create almost any shape your customer needs. The Edgemaster is available in a honda gas and an electric model. It weighs about 220 lbs and comes with a 2 year warranty. The Edgeprep machine is similar to a tiller and preps the surface so it can be leveled and hold the new curb. For home landscaping, proper ground preparation machine is recommended. A ground prep machine like an “Edgeprep” will pull off a 2″ layer of grass so that you can get down to solid earth. Profit margins for a concrete curbing business are in excess of 60%. The video below shows a Miller concrete curb machine in action. The Epilog Laser Company produces some of the finest shop grade lasers in the industry. The machines are built in America in Golden, Colorado. This is important in that availability of parts is crucial in keeping your machine operational and continuously productive. A quick visit to epiloglaser.com will show you that the company is serious about its products and service. Right above the Zing entry level machines you will find the Mini, The Helix and the Legend models. They come in an 18, 24 and 36 model. All models range in power from 30 watts up. As you go larger the machine will go from 30 watts to a higher range. For example the Mini 18 ranges from 30 – 40 watts whereas the model 36 EXT ranges from 30 – 120 watts. As you step up you get a larger work area and more power. In determining what size is best for your shop you simply need to know what types of items you will be engraving. If you know you will be called upon to work with larger objects then get the larger machine or you will be turning business away. If you only do small items then you are wasting your money if you buy more machine than you will need. The machine consistently gets high reviews with owners only sorry that they did not get a bigger machine. The Mini’s start at around $10,000 and go up from there. At this price you are no longer talking about a hobby machine. You need to be serious about engraving and have the ability to keep the machine busy. Here is an overview video of the Epilog Lasers. 17.5″ x 10″ engraving area. 23.5″ x 11.75″ engraving area. 23.5″ x 17″ engraving area. 36″ x 24″ engraving area. State-of-the-art, digitally controlled, air-cooled CO2 laser tubes are fully modular, permanently aligned and field replaceable. Store unlimited files up to 64 MB. Rolling buffer allows files of any size to be engraved. Permanent Job Save ability at the Laser Store up to 10 jobs at the laser, each up to 2 mb in size. Attach an air compressor to our included Air Assist to remove heat and combustible gasses from the cutting surface by directing a constant stream of compressed air across the cutting surface. The Laser Dashboard™ controls your Epilog Laser’s settings from a wide range of software packages – from design programs to spreadsheet applications to CAD drawing packages. Since the laser beam is invisible, the Red Dot Pointer on Epilog’s Laser Systems allows you to have a visual reference for locating where the laser will fire. The home position can be moved to accommodate items that cannot be placed in the standard home position. Optimized raster, vector or combined modes with engraving and cutting in one job. Ground and polished stainless steel NeverWear Bearing System. Computer or manually control speed and power in 1% increments to 100%. Vector color mapping links speed, power and focus to any RGB color. Auto-switching power supply accommodates 110 to 240 volts, 50 or 60 Hz, single phase, 15 amp AC. External exhaust to the outside is required. There is one output port, 4″ in diameter. External exhaust is required. This is done via two 6″ output ports. Sealcoating is a great business that is normally combined with parking lot striping for obvious reasons. Sealcoat gives new life to old parking lots and can extend a parking lots life quite a bit. Neal Manufacturing has been a leader in this industry for over 30 years. They manufacture a variety of tough, versatile sealcoating systems. They produce both the spray systems that use a wand and the ride on spray/squeegee systems that distribute sealcoat using a spray bar and squeegee. Neal Manufacturing systems are made using the highest quality and longest lasting components available. They are more expensive but will also outlast most other rigs. They also use components that are easy to service. When maintenance is necessary it is quick and easy. Neal Manufacturing’s goal is to create high production, quality sealcoat machines that stay on the job and not in the repair shop. 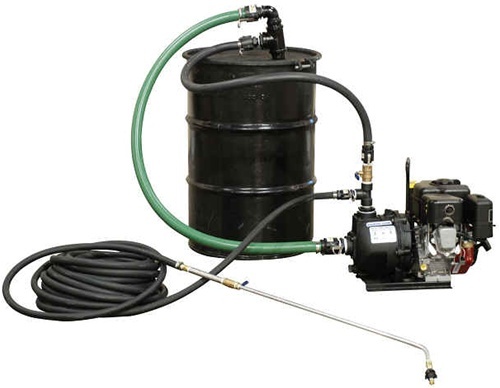 The Neal Manufacturing ESSP 550 or 750 Sealcoating Spray Rigs include either a 550 gallon or 750 gallon tank with a high powered wand based spray system. The machines spray sealcoat along with sand. This is important for safety and liability reasons. Sand in the mix prevents lots from becoming slippery when wet. The tank and sprayer come mouned on a tough dual axle open trailer for safe transport to and from the job site. 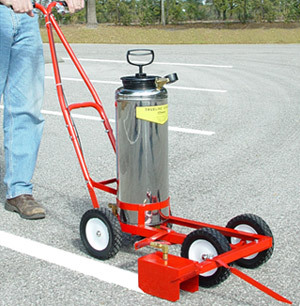 The highly maneuverable trailer spray rigs are ideal for companies who seal driveways or medium sized parking lots. The optional distributor bar and second hand wand transform the ESSP systems into ultra high volume sealcoating machines for enhanced efficiency and higher production. The Full Spectrum Laser Engraver is a popular commercial quality engraver built by Full Spectrum Lasers out of Las Vegas, NV. They provide a low cost alternative to asian laser engravers. Unlike foreign machines, you can get parts and service readily for a Full Spectrum product. They carry a hobby size model as well as commercial machines. 40 watts to 60 watts in power. A laser engraver can be used to simply engrave or to cut all the way through plastics and metals. Prices have come way down on these machines and they are now within the price range of both commercial operators and hobbyists. The website for Full Spectrum Lasers is www.fullspectrumengineering.com/ . The video below shows the 60 watt machine in operation. Graco has been in the striping machine business for decades and manufactures the Line Lazer which is one of the most popular line stripers in the business. Just a few years ago, Graco created the Thermolazer or Thermolaser Hand liner thermoplastic striper. It is designed to favor the original line lazer with its front swivel wheel and large back tires. While Graco is a great company and make a great paint striper it is important to keep in mind that they have only been in the thermoplastic striping business for a few years. With that being said, lets discuss the pros and the cons of their newest machine and venture. The standard Thermolazer has a 300 pound hopper for melting the thermoplastic and a 4 – 4.5 hour melt time. Because of the long melt time you would need to use a premelter to feed hot thermoplastic to the striper. An alternative to this is to purchase the Thermolazer Promelt system. This is the same basic striper but with a much more robust melting system. It features a 4 chamber 100,000 btu melting system. It can melt 300 lbs of thermoplastic in under an hour. This option can save you the $10,000 plus that you would have to spend on a premelt system. Coming up with this option was smart on Graco’s part. Now with just this machine you can tackle all the small jobs. All of which are very profitable. In summary, if you have a premelter you would only need the standard model. If you don’t you would need the Promelt system. Note: as a general rule the coverage rate for thermoplastic is 3 feet of 4″ striping per pound of thermoplastic. Or one square foot per pound. The front wheel design of both the standard and promelt hand liners makes the machine a little more cumbersome than the rear wheel designs, however, with some practice this is not as much of a problem. Most people are used to a rear swivel wheel. The Graco Thermolazer comes with a SmartDie II System. It can be used without heat or in cooler weather with heat. best possible line. Changing a die requires no tools and is fast a simple. There are no springs which is nice and the dies come with a built in mil adjustment. All very innovative. Available die sizes are 3″ – 12″. Both models can be driven using the Graco Line Driver and both can be fitted with a glass bead dispenser. The price on the Graco machines is high compared with other models but you do get a very capable machine. The promelt is especially versatile. The machines are heavy weights and weigh in at about 300 pounds for the stanard and 350 for the promelt. If you stripe hills make sure to invest in the line driver system. To give you a comparison the Thermomark II by Advanced Striping Equipment weighs 290 pounds with a premelter. The standard Graco Thermolazer will cost you between $11,000 and $15,000 depending on where you buy it. The Promelt model runs about $3,000 more. Keep in mind that you can pay for the machine with just the first few jobs. The Graco Thermolaser or Thermolazer gets our recommendation. Graphtec plotters are one of the best in the industry. 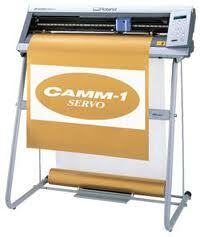 These amazing machines are rugged and have lots of features that make a signmakers job much easier. Graphtec FC8000 machines are especially suited for the sign and vinyl graphics industries. The FC8000 is a newly designed plotter and features a 3 inch wide LCD control Panel and a dual configuration function so that two separate users can save their own custom configurations. It has an optional Ethernet capability and can be tied into other computers and machines. The FC8000 also has additional push rollers with triple tension settings and an enhanced registration mark detection system. This Graphtec series boasts a maximum cutting speed of 58.5 in/sec, and 20 to 600 grams of precision cutting pressure. These features allow users to cleanly cut diamond grade films, high intensity reflective sheeting, rubber sandblast material, automotive window tint ,paint protection films, self adhesive sign vinyl, and a variety of other types of media. The FC8000 is a very fast high production machine. It is also very precise which makes it good for detail work. 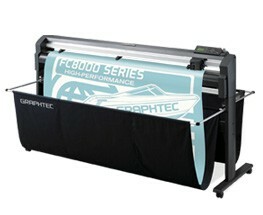 Each Graphtec FC8000 includes a standard media roll rack for holding the vinyl rolls, a floor stand, and dual media catch basket for capturing continuous long length jobs. If you want the best and foresee needing a lot of options then an FC8000 is a great choice. Graphtec machines are expensive machines but they are priced right for the features, durability and performance that you will get. I have a 30″ Graphtec and am very happy with it. The Husqvarna Mini Planer Concrete Scarifier CG 200S with 6 mm Tungsten Carbide Cutter is an excellent choice for grinding, scarifying or texturing large or small concrete, cement or asphalt areas. It is a flexible machine and can be used in both commercial and non commercial applications. It is excellent for traffic line removal. You just need to have an electric power source. This machine can be ordered complete with assembled drum and cutters installed. 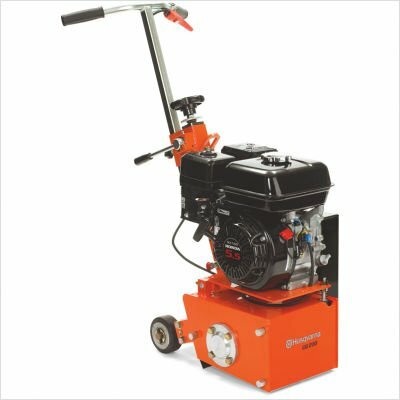 It has a sturdy steel frame and a 7 and 3/4” wide cutting path which reduces the number of passes that you need to make when scarifying, grinding or texturing large surface areas. The depth control adjustment wheel is very easy to use and has limitless settings. The wheel includes a locking device for extra safety. Another valuable feature is the automatic reset to the preset cutting depth. Tht handle is retractable for easy transportation. The Husavarna Mini Planer has a rugged premium poly V-belt drive which powers the drive shaft. Also, a 1 and 1/2” diameter vacuum port allows a dust collection device such as a shop vac to be attached. Your purchase will include the Husqvarna Mini-Planer CG 200S with complete head assembly installed. -Motor: 2 HP Electric. -Cutting Head Width: 7-3/4”.purposes; also for traffic line removal. -Unit can be ordered complete with assembled drum and cutters. -Sturdy steel frame with 7-3/4” (197mm) wide cutting path which minimizes the number of passes needed when scarifying or texturing large surface areas. -Depth control adjustment wheel is easy to use with limitless settings (wheel includes locking device). -Automatic reset to the preset cutting depth. -Adjustable cutting head height control and retractable handle for easy transportation. -Premium poly V-belt drives power to the drive shaft. -1-1/2” diameter vacuum port allows a dust collection device to be attached. -Includes Mini-Planer with complete head assembly installed. 965152804 The Husqvarna Gas Mini Planer Concrete Scarifier CG 200S (drum type) is an excellent choice for scarifying, grinding or texturing large and small areas in both residential and commercial applications. The little machine is also excellent for the removal of traffic lines. The Husqvarna CG 200S can be ordered complete with assembled drum and cutters. The scarifier has a sturdy steel frame and features a 7 3/4”wide cutting path which minimizes the number of passes needed when scarifying or texturing large concrete or asphalt areas. The Depth control adjustment wheel is easy to use with limitless settings. A wheel locking device is included. -Automatic reset to the preset cutting depth. -Adjustable cutting head height control and retractable handle for easy transportation. -Premium poly V-belt drives power to the drive shaft. -1-1/2” diameter vacuum port allows a dust collection device to be attached. -Motor: 5.5HP Gas. -Cutting Head Width: 7-3/4”. Ioline SmarTrac I/S machines are performance plotters designed to handle commercial workloads. They are made to handle a multitude of jobs ranging from vinyl signs to heat transfer material. All the machines feature the Ioline smart track technology for long cutting runs. They utilize powerful servo motor and the smart track system ensures proper tracking and hassle free operation. An internal high speed processor and 1 megabyte memory buffer give the SmarTrac machines the power to quickly cut even complex files. The Ioline systems carry one of the longest 100% warranties in the industry and feature lifetime technical support. The Ioline Smartrac is available in four easy to use models. The I/S 60 is a 25″ model and can handle up to 28″ wide material. The I/S 85 is a 31″ cutter and can cut up to 34″ wide material. The I/S 110 which is Ioline’s 41″ cutter and can handle material up to 44″ wide. 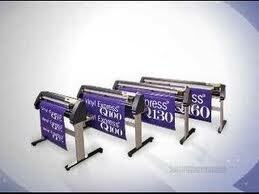 Lastly, the I/S 130 is a 49″ cutter and can handle 52″ wide material. All can cut material as narrow as 3″. These cutter/plotter systems are simple and do not come with fancy LCD displays. The buttons on the front are functional and easy for even a novice to understand. All models can cut everything from standard sign vinyl to thick sandblast or heat transfer material up to 35 mils thick. There is little to maintain on the SmarTrac. – Lubrication: No oiling or lubrication required. Just wipe dust and lint off periodically. – Blades: use an air gun to remove any lint that builds up around the blade assembly. – Proven performance: Friction-free head has been tested continuously for 300,000,000 cycles which is equal of twenty years of normal shop use. – Maintenance-free design: The servo motor is sealed and enclosed and the actuator is not susceptible to bearing failure. 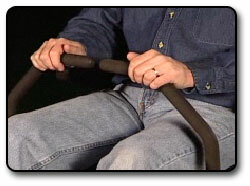 This virtually eliminates the need for adjustment. – Quality components: The Ioline is Manufactured in US with virtually all of the parts also being U.S. made. The video below is another that shows the machine cutting heat tranfer material. The machines cut standard sign vinyl just as well. Heat transfer products are just one way to make money with the Ioline cutter. The John Deere Z Trak Pro 800 Mower is a rugged and affordable commercial mower that excels in reliability, durability and productivity. This is a zero turn radius gasoline powered mower. The new Z-Trak Pro 800 Series mowers include five models (outlined below) with a variety of deck sizes. Four models feature an air-cooled, dependable, Kawasaki engine. The Z840A comes with a liquid-cooled engine resulting in a longer engine life. The new 31-hp Kawasaki engine in the 850-A delivers 14 percent larger displacement and a 40 percent larger hydraulic pump, which allows mowing speeds of up to 12 mph. The Z810A features a 22-hp engine and is available with a 48- or 54-inch mowing deck. With a 25-hp engine, the Z820A is available with four factory-installed deck options: a 54- or 60-inch side discharge deck, or your choice of a 48- or a 54-inch Mulch-on-Demand Deck. This 27-hp model is available with a 60- or 72-inch deck, as well as a 60-inch Mulch-on-Demand Deck. The Z840A features a liquid-cooled, 26-hp engine and is available with a 54- or 60-inch mowing deck and an easy push button deck lift system. A liquid cooled engine results in a longer engine life. 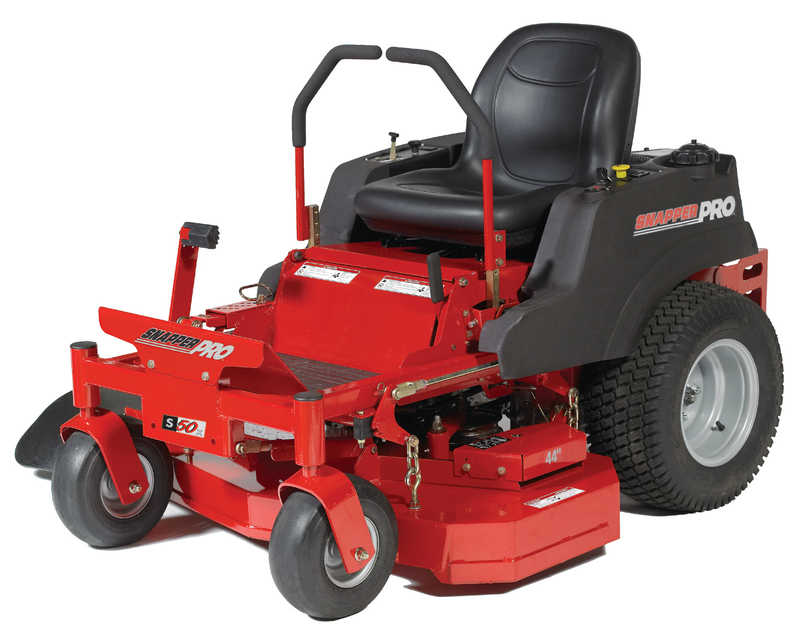 For maximum productivity, this model features a 31-hp engine and a 72-inch mowing deck. 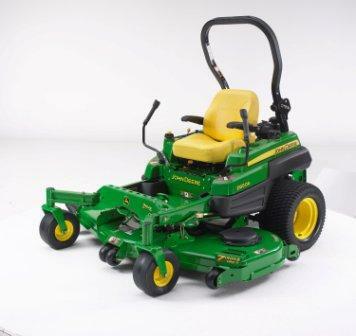 The John Deere Z Track gets our highest rating for commercial mowers. Note – see also the new Z Trak 900 Series Zero Turn Radius Mowers. John Deere has recently introduced the Z Trak Pro Series 900 Zero Turn radius commercial mower. This line replaced the 800 series and features a multitude of improvements. A Z Trak Mower will run you about $7,500. The Z Trak 900 series was designed and developed using real customer input. The seven models reflect this. The Z Trak 900 mowers feature the legendary, durable 7-Iron™ Pro deck with stamped, seven-gauge steel, full-wrap reinforcement and Mulch-on-Demand™ capabilities. High top mowing speeds of 10.5 – 12 mph mean more productivity and more earnings per hour. All the Z Track Pro models have the power and performance that commercial lawn companies demand. Here are a few more features. Ground-drive transmission featuring a piston motor, internal wet disc brakes and a gear reduction final drive, providing more torque to the drive tires. Comfort and convenience package with ergonomic control levers including built-in PTO shutoff and electronic deck raise and lower. Dial-in height of cut adjustment on the control panel, on-board self-diagnostics, run-flat tires and John Deere’s exclusive Brake & Go system. The increased engine displacement 22 hp model is available with a 48- or 54-inch deck and comes equipped with a gas-powered, air-cooled Kawasaki engine. With a new 26 hp engine, the Z920A is equipped with a 48-inch Mulch-on-Demand deck. For maximum value, this model features a 27 hp engine and two deck options: 54-inch Mulch-on-Demand or 60-inch standard. For long engine life and added durability, the Z930A features an air-cooled, 29 hp engine, available with a 60-inch Mulch-on-Demand deck. This 31 hp model is available with a 72-inch deck and is equipped with a gas-powered, Kawasaki engine. The Comfort & Convenience package is standard on the 72-inch deck machine. The Z970A features an industry-leading 37 hp vertical crankshaft and a Kawasaki air-cooled engine. A 72-inch mowing deck and the Comfort & Convenience package are standard. Wonderful mower. Received our highest recommendation. An improvement over the 800 series. The Lil Bubba Curb (Curbing) Machine is one of my favorite. It has some advanced features that solve a few problems that other machines have. One is an extreme plunger system which rises seven inches into the hopper to avoid bridging problems. In other words, it pulls concrete down into the plunger area to avoid gaps that can be caused by cement not gravity dropping in. The machines also feature 4 horsepower Honda engines which are very reliable. The money you can make with these machines is unbelievable. This is a great business for anyone including husband and wife teams. The equipment is self propelled so all you need is someone to mix cement and someone to guide the machine. 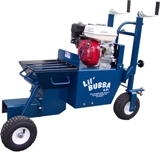 A Little Lil Bubba concrete curbing machine will run you a minimum of $4,500. The videos below show the Lil Bubba in action. It does not take a lot of imagination to realize that this machine is a real money maker. Either by itself or combined with a landscaping business. The Miller MC250 concrete curbing machines are rugged easy to use machines for creating curbs in landscaping areas or commercial applications. The Miller MC 250 and 350 models are available with different dies to create different types of curbing for home landscaping or commercial curbing. The MC250 and MC350 take mixed cement or mortar mix and extrude it through a die thus forming a perfect curb. A little finishing is needed but the machines does the majority of the work. It takes a little practice at first but after a short while you can create almost any shape your customer needs. The machines weigh about 220 lbs and come with a 6 year warranty. Both models run in the upper $3,000 range. For home landscaping, a ground preparation machine is recommended. These machines pull off a 2″ layer of grass so that you can get down to solid earth. Profit margins are good and on a $1000 job you should be able to keep about $600 in profit. The Mimaki CJV30 series inkjet printer cutters are amazing machines. They are designed to increase your productivity and profit potential by combining printing and cutting tasks into one device. This machine will print everything from a small decal to a large poster and then contour cut around the design. There are 4 models of the CJV by Mimaki with print widths ranging from 24″ to 64″. (Model CJV30 – 60, 100, 130, 160) Several unique features provide for continuous unattended printing and contour cutting. This machine has the following specifications. Auto Media Clamp Function which facilitates uninterrupted printing and cutting. High density, quick drying white ink increases the applications that the machine can create. Uninterrupted Ink Supply System makes continuous unattended printing possible. The Mimaki CJV30 Printing speeds. 720 dpi, 1080 dpi and 1440 dpi. Cutting speeds of up to 11.8 inches per second. Simple Studio and Fine Cut software are included. These programs are designed for easy sticker making. For professional users, Raster Link Pro4 SG RIP is also included. Prices for the Mimaki CJV30 machines range from $13,000 for the 24″ model to $25,000 for the 64″ model. If you keep your machines running all the time you can make a fortune off the production. High volume, high traffic shops can definately benefit from the machines capabilities. Mimaki is a respected brand and is known to give years of dependable service. This machine gets a high rating from our staff. The video below shows the Mimaki CJV30 series printer plotter in use. 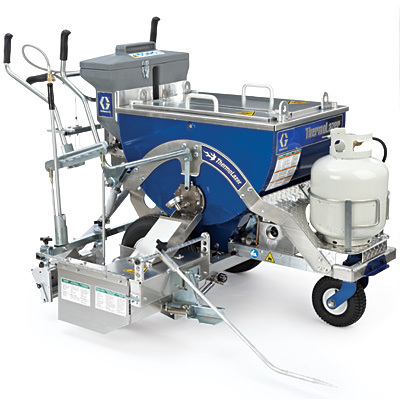 This Northern Industrial 126 cc gas-powered concrete curb machine can quickly create concrete curbs up to 6 inches wide in both residential and commercial applications. 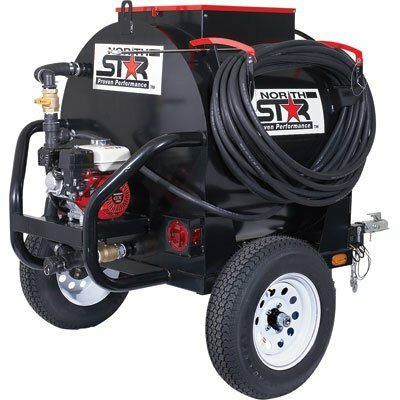 The NorthStar Asphalt Sealcoating Skid Sprayer is a heavy duty sealcoat application system that mounts or slides into a standard trailer or truck bed. The machine applies sealcoat material to driveways and parking lots and which adds layer of protection against water (by sealing cracks), UV rays, oxidation and chemical spills (oil, gasoline, etc.) The second big feature of sealcoating is the cosmetic improvement to the lot. Sealcoated lots look new and are a good reflection on the building owner. Sealcoaters can earn from .15 – .25 cents per square foot and many lots are thousands of square feet in size. For additional information on parking lot sealcoating and striping CLICK HERE. 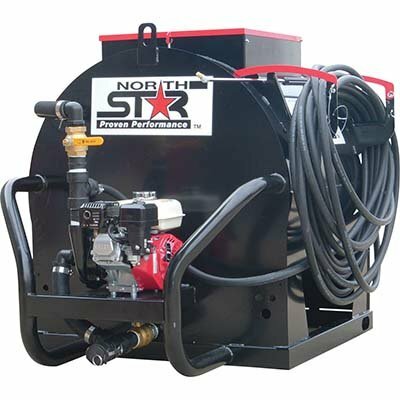 The NorthStar Asphalt Sealcoating Skid Sprayer applies sealcoat material to driveways and parking lots using a pump spray system. Sealcoat adds a layer of protection from water, UV, chemical, oil and gasoline damage by sealing the surface. The second benefit of sealcoating is the cosmetic improvement. Sealcoated lots look brand new again and give customers a good impression of the business. This package includes 3500-lb. capacity trailer package. U.S.A. The system agitates using the pump system. With the Rockler Shark CNC Router you can bring the speed and precision of computer-controlled machinery to your shop. This top value CNC system measures 28-1/2” x 36” it’s ideally suited for carvings and machining operations on a large variety of signs,cabinet doors and other small projects. It has impressive power, speed, accuracy, and is easy to use. It is constructed of robust steel and high-density polyethylene which insures a long service life. The capable machine can take accidental impacts that would normally damage or destroy an aluminum or MDF constructed machine. It is fully compatible with the Bosch Colt Palm Router and includes a 1/2″ diameter V-groove router bit. The CNC Shark also includes the new version 5.5 of the VCarve Pro software interface which is a $600 value. All you supply is a PC computer or laptop with USB 2.0 port and a Bosch Colt router (router sold separately). Simply connect the USB cable to the controller box and the other end to your computer (not compatible with Mac computers). *Enhanced controller with more power that allows up to 200 inches per min. * Increased travel on the machine with a max cutting capacity of 25 x 25 x 5 inches. * Automatic on and off software control of Router. * Professional Aluminum case with Push button Stop. (Designed for numeric laptop keypad). * Cut 3D software included ($300 Value!). * There are 20 3D models, and a font and graphic package provided. * Extended Aluminum T slot top (28-1/2” x 36”) for more versatile clamping. * Precision lead Screws with anti backlash on all the axis. The R oland EGX-20 Compact Desktop Engraver is great for small shops, hobbyists, mall kiosks and small gift engravers. It has an 8″ x 6″ x 1.25″ work area and will engrave in 2d and a type of 3d. This amazing little machine can engrave plastic, wood, brass, wax, foam, and other light materials. Normally included with the Roland EGX-20 package is the Roland Dr. Engrave Software, the Roland 3D Engrave Software package and the Roland Virtual Modela Software package. The little machines run a little over $2,000. All you need to add is a computer and some items to engrave. With the Roland EGX-20 Desktop Engraver and a little practice, anyone can produce beautiful, professional engravings of text and graphics right from their computer. The EGX-20 is designed by Roland to be very easy to operate, even for beginner engravers. The EGX-20 is powerful enough to handle a variety of engraving jobs, including awards, product serial numbers, trophy plates, personalized items and more. It is at the same time, small enough to fit comfortably on your desktop. One of the coolest features of the EGX-20 is its Automatic Surface Tracking System or AST. This amazing system automatically tracks the height of the material that you are engraving to ensure a consistent cut depth. It even works on bowed or non-uniform surfaces. The Automatic Surface Tracking system makes setting the origin point and cutting depth very easy resulting in beautiful results with less learning time and less waste. The Roland EGX-20 comes with a 15,000 rpm motor giving it the power to engrave more materials than comparable machines. The Dr. Roland engraving software is your basic program for cutting fonts and graphics. The Roland 3d program works with the Dr. Roland software and converts your designs to 3d reliefs. The Virtual Modela lets you view your work on the computer prior to sending the job to the engraver. Here is a video of the Roland Engravers at work. The Roland EGX 30A compact desktop engraver is a larger version of the 20A engraver. It has a 12 x 8 work area. It engraves in 2d and comes with Dr. Engrave software from Roland. With a little practice you can begin creating all types of basic engraved items from trophy plates to industrial machine name tags. This model is a workhorse type machine and will crank out production with no complaints. The EGX-30A makes engraving an easy task. To operate the machine simply use the bundled Dr. Engrave software to design your badge, nameplate or plaque and let it generate an engraving path for the project. Then simply send the job and the desktop engraver automatically detects the material’s thickness and begins the job. While engraving, you can easily adjust the feed rate and rpm of the machine by simply turning the knob located on the control panel. The specifications on the EGX-30A are as follows. Mechanical resolution 0.000394 in/step (0.01mm/step), 0.0000492 in/step (0.00125mm/step) using micro step control. Distance accuracy 0.000394 in/step (+/-0.1mm) or +/-0.5% of moving distance, Whichever is greater. Here is a video of the Roland EGX-30A in action. 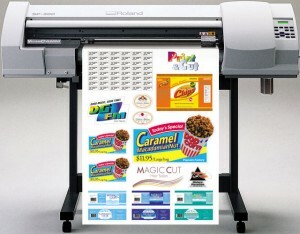 The Roland GX series 24 inch cutter is considered to be the workhorse of the vinyl graphics industry. This has been true for a couple of decades. There are several reasons for the machines popularity. First, it is a rugged simple machine. My Roland 24″ cutter has been running for over 10 years now and all I have ever had to do is replace the blade. Shops that need dependability often choose a Roland plotter. Second, it is easy to use. It only takes about thirty minutes for a new sign maker to get up to speed and be making signs with this machine. The controls are on the front of the machine and easy to work with. Aligning your media is also quick and easy. Lastly, the price is very affordable. The Roland GX-24 is priced at around $1,700 for the table top model and $2,000 for the cutter and a stand. This price includes a basic sign cutting software package. At this price, the GX-24 is well within the reach of most sign businesses. If you already have a computer then all you would need to add is vinyl and some sign substrates and you are ready to begin making signs. Note: Although the software that comes with the Roland GX 24 is adequate for cutting letters, numbers and basic graphics, you may want to consider upgrading to a more powerful package. When you purchase a machine, that would be the best time to upgrade. The seller will be motivated to give you a better price at the time of purchase. We have an article on sign cutting programs in our “Sign Business Startup Articles” section. The video below shows the machine being used to cut heat transfer material for shirts. This is one of the many materials that the Roland GX 24 machine can cut. 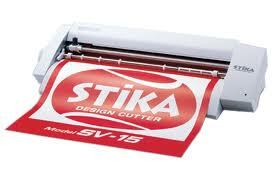 The Roland Stika is an affordable entry level vinyl cutter that comes in three different widths. It is not a built to be a commercial machine but in the right applications it can generate a nice income for it’s owner. The Stika excels in creating small signs and decals and can also cut other materials such as heat transfer film and glass etching resist. There is profit to be made in all of these applications. The pros of the Stika are its affordable price and quality. The downside to the Stika would be its light duty construction and limted features which limits it to hobby type signs. If you plan to do larger signs or cut heavier material then a full size Roland would be a better purchase. To learn how to make money making signs CLICK HERE to go our Sign Business Website. The Roland Versacamm SP-300i and 540i provide an economical way to get into the exciting world or large format printing and cutting. These amazing inkjet machines combine quality and performance. The modern design of the Roland SP-300 and 540 printer/cutter series machines shows an effort to provide quality, high production and affordability in one beautiful package. Roland is one of the most respected manufacturers in the industry. They have been producing quality cutters and print/cut combo machines for decades. The SP-300i sells for about $12,495 and the SP-540i sells for around $17,895. Often, bundles are available which include cutting and printing software. The time to get a deal on a software package is always when you buy a machine. Heavy‐duty media handling system. Holds the following weight. SP-300i – up to 44 lbs. SP-540i – up to 66 lbs. The VersaCAMM SP-300i and 540i systems are considered the industry’s most versatile and affordable entry-level devices, combining 4-color printing and contour cutting all in one device. This allows the user to print a decal and cut around the contour in one easy and automated operation. Print speeds are up to 50 percent faster than the previous models in Standard print mode. The video below shows the machine in use. The Shopbot Buddy BT32 and BT48 CNC routers are amazing and affordable machines capable of creating an unimaginable number of products. The machines cut and shape in 3D and are in many ways like a robotic carving machines. A CNC router is also like a saw but will cut in multiple directions. All controlled by a computer or laptop and some easy to use CAD/CAM Design software. The Shopbot Buddy is a small footprint CNC router designed for industrial, commercial, or hobby applications. 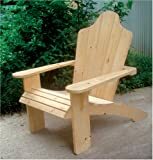 It is able to cut wood, acrylic, and soft metals like aluminum or brass. Like all CNC machines the Shopbot Buddy is controlled via a computer software program which enables you to make everything from simple cut-out shapes to complicated 3 dimensional carvings. The Buddy is different from most CNC routers which are very expensive and designed for industrial applications only. The Shopbot Buddy model BT32 and BT48 incorporate many of the same features as full-size industrial systems. The machines weigh less than 600lbs and require about 16 square feet of room. Both machines come with easy to use but functional software to drive the machine to make parts for everything from the dedicated home improver to a small business owner. Shopbot Buddies are available in two models. One had a 24″x32″ work area and the other has a 24″x48″ work area. Shopbot Buddies come pre-assembled and are ready to plug in and use. Shopbot offers a PowerStick attachment which allows you to work with materials up to 12 feet in length. Here is a video of the ShopBot Buddy in action. 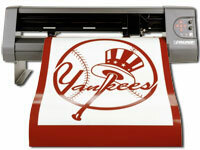 The Vinyl Express Q Series vinyl cutter / plotters are one of the greatest values for the money. This brand is carried exclusively by Sign Warehouse (machines are built for them) and are available as a package or machine only. Our sister company uses the 24″ model and is happy with its performance. It is my understanding that the Vinyl Express Cutters are manufactured by Graphtec. The quality of the Vinyl Express Q series is not quite the quality of a Graphtec but it is good. The Vinyl Express models are as follows – Q24, Q30, Q42, Q54, and Q64. Sign Warehouse offers packages starting at around $2,000 for the Q24. This includes the machine, software and supply package. Cutting Method: Friction-fed media handling, high-speed drag blade with Soft Blade Landing . Also features Tangential blade control mode which is helpful when cutting thick materials. Machine picks up blade and realigns it for the next cut. Helps create sharp edges on challenging materials. The Snapper 355Z Zero-Turn Riding Mower is as powerful and smooth running as a luxury automobile. This commercial mower offers a tight turning radius, dependable performance, and intelligent features that adjust to the way you cut grass. The 355Z will reduce your cutting time and help you keep your yards looking their best. go longer between fill ups. The 7-position height-of-cut lever can be operated with just one hand. View larger. The pro-style twin lever controls are adjustable for comfortable operation. Complete with Snapper’s unique Hydro-Gear hydrostatic transmission for added torque when you need it, the 335Z provides reliable, quiet operation. Its versatile design makes it quick around obstacles and in open spaces. Thanks to its Briggs & Stratton 26-gross-horsepower* Extended Life Series V-Twin OHV engine, the 355Z offers reliable power with travel speeds up to 7 miles per hour in forward and up to 3 miles per hour in reverse. For long-term dependability and smooth operation, the motor comes equipped with an Extended Life fuel filter, full-pressure lubrication system, large PTO bearing, premium spin-on oil filter, advanced debris management system, and high-volume cooling fan. *All power levels are stated gross horsepower per SAE J1940, as rated by Briggs & Stratton. The 355Z is a high-performance all-in-one package that’s low maintenance. It comes equipped with cooling fans and a large hydraulic reservoir for convenience. The deep-profile mower deck with anti-scalping wheels follows your lawn’s every contour for precise cuts without turf damage. For further convenience, an easy-to-operate lever lets you choose from seven height-of-cut positions: 1-1/2 inches to 4-1/2 inches. The 355Z’s pivoting steel front axle offers better overall flotation and traction, with a greasable center pivot bushing. The 335Z Zero-Turn Riding Mower is backed by a two-year limited warranty. 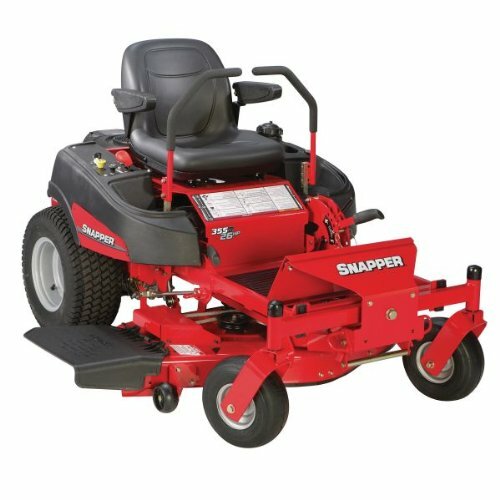 Snapper offers a complete line of residential lawn care equipment that’s easy to own, easy to use, and easy to maintain. Whether your yard is large or small, Snapper mowers, snow throwers, and pressure washers have the smart designs and powerful components you need for dependable performance and professional results. Snapper. . . it just makes sense. Snapper 355Z Series Zero-Turn Riding Mower and manual. The Snapper S50x zero turn radius commercial mower is an affordable commercial lawn mower with all the features that you expect from a Snapper. It is available with either a 27 horsepower Briggs & Stratton Professional Series engine or a 20 horsepower Kawasaki FX engine. Most people prefer the Kawasaki for its dependability. Because of its speed and maneuverability this little mower with a 36″ deck can out cut much larger mowers with larger cutting decks. Also, twin 4 gallon fuel tanks ensure a long run time with less refueling. 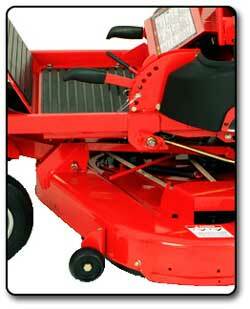 Here are some specifics on the features of this commercial mower. The Trusco Manufacturing Trueline Model 20 is a very popular small striper used by small striping companies as well as shopping center or facility owners. The base price for a Trueline Model 20 pump up striper is $635 plus applicable taxes and shipping. I have used the Trueline machines and have found them to be very reliable and easy to work on. They never need to go to a shop because parts are so easy to obtain and install. This keeps downtime to a minimum which over time will actually pay for the machine. The Trueline Model 20 is a pump up machine which means that as you stripe you will need to keep it manually pressurized by using the built in hand pump. This would amount to a few pumps per 80 – 100 feet of striping. The Trueline machines are low pressure airless machines which means that you will need to thin the paint a little before you pour it through a filter into the machine. This makes it easier for the machine to spray the paint. Because the machine sprays the lines within a spray box, the lines actually come out just as thick as they would if you used un-thinned paint. The machine comes standard with a 4″ spray box (most common), a funnel and strainer, a viscosity measuring tool and a tank cleaning brush. The machine is almost fully assembled and you can normally start striping about 30 minutes after you recieve it. The company builds and ships the machines out of Ocala Florida. Shipping time for machines in stock can be anywhere from 2 – 7 days depending on your location. Trusco Manufacturing has been in business since the 1960’s and has one of the best reputations in the striping business. The company and the machines get my highest rating for quality, simplicity, service and price. The video below show the machine in use.